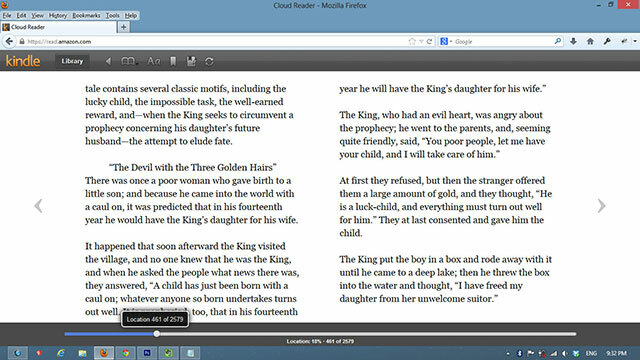 Kindle Cloud Reader is web browser application developed by Amazon using HTML5-based coding, it allows you to access your Kindle library in your web browser. You don't actually need a Kindle device or Kindle apps to read your Kindle eBook in Singapore, with Kindle Cloud Reader you can access and read your Kindle eBook at any part of the world as long as you have an internet access and of course, a web browser. So far, Kindle Cloud Reader does not have country or region restriction like Kindle devices, you can simply access via Kindle Cloud Reader's web address here. Of course, you must first have an account with Amazon, signup here for free if you don't have one. Kindle Cloud Reader works pretty much like Kindle device or Kindle apps, all the configuration and functionality like bookmarks, synchronising option, personal notes and table of contents are available in the Kindle Cloud Reader. If you have not plan to buy a Kindle device in Singapore yet but wanted to reader Kindle eBook, this could be one of the option that allow you to have access to the Kindle eBook instantly. One thing to take note that although you can access Kindle Cloud Reader in Singapore without any restriction, you cannot buy Kindle eBook in Singapore by simply visit the Amazon website, Kindle eBooks do have country restriction. However, no worry, we have a detailed tutorial to teach you how to buy Kindle eBook in Singapore. 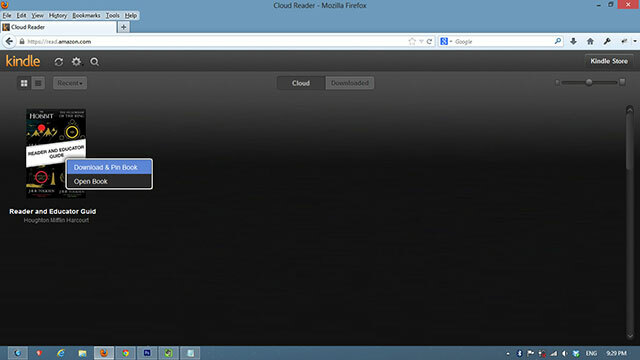 Before that, let’s take a short tour to see how Kindle Cloud Reader works. 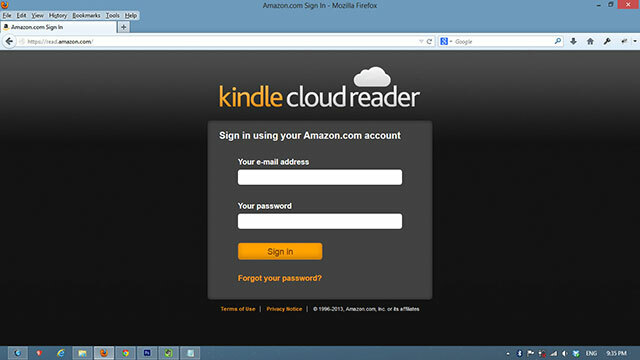 Sign in with your Amazon account to access the Kindle Cloud Reader. At the first sign in, you will be asked to enable offline reading feature. Kindle Cloud Reader support offline reading, as long as you don't log out from the reader, you can keep on reading the book even if you lose your Internet connection. Closing the web browser will not sign you out from the reader. 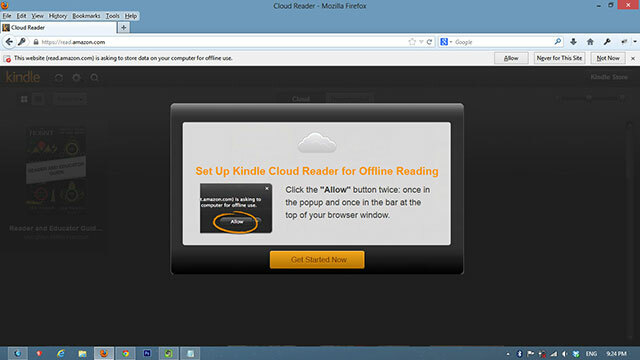 Kindle Cloud Reader allow you to access your Kindle library right from your web browser. Under the ‘Cloud' tab, you can see all your purchased Kindle eBooks are listed in the Kindle library. 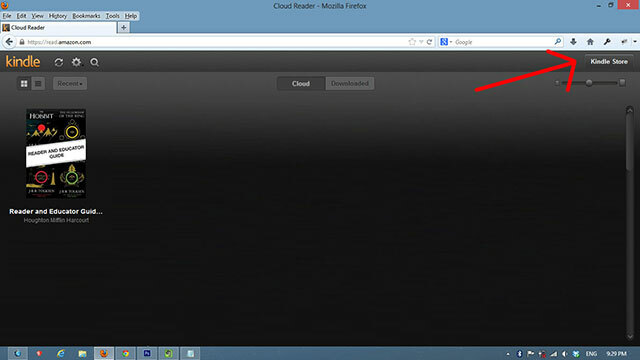 To download the eBook into the Kindle Cloud Reader, simply right click the book and select ‘Download & Pin Book'. You can also read the book online by simple click ‘Open Book'. 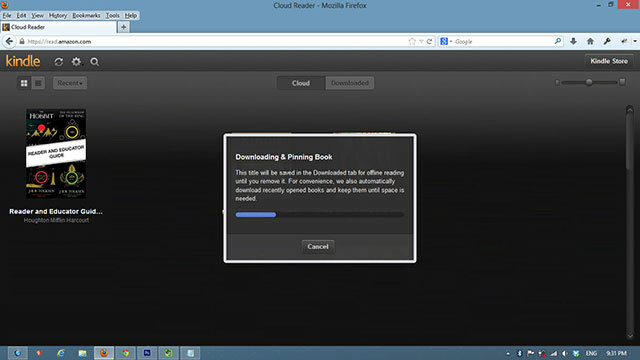 The book is being downloaded to your computer. The book is now listed under the ‘Downloaded' tab. You can start to read the book. Now you can disconnect the internet if you wish to. All the Kindle features are located on top, your reading progress are shown at the bottom. You can directly access the Kindle Store from the Kindle library, but it is not advisably to do this. Click to read how to buy Kindle eBooks in Singapore tutorial for more information. If you do not have any Kindle devices or Kindle apps, you can choose to have the book deliver to your Kindle Cloud Reader directly when you purchase the Kindle eBook by select ‘Deliver to Kindle Cloud Reader’. In conclusion, Kindle Cloud Reader provides you a simple solution to read Kindle eBooks if you do not own a Kindle device in Singapore or any Kindle apps. 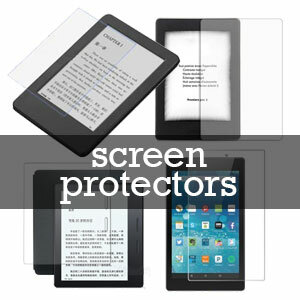 It work like a charm and comes with all the functionalities like Kindle native apps, it also allows instant synchronization of books and personal notes. However, if you are interested to buy Kindle in Singapore, you can refer to this tutorial. For most people, Kindle device still gives the best reading experience and portability. I have bought some books using your method and have been reading on kindle cloud reader. If I now buy the kindle reader, do I need to register the device to my account with VPN ON? and then transfer existing books via “transfer via computer ” ? For information, whenever I am buying now, I am getting the option of only deliver to the cloud reader. Is it correct to assume that I will get the option to “transfer via computer” to my kindle device once I register it to the amazon.com account? Once you have registered your kindle with your existing Amazon account, all books in that account will be synced to your kindle, yes you will have the option to download to computer. If I choose Kindle Cloud reader in buying options, will I be able to download this book both on my kindle PC and kindle mobile apps? Or can I download the e-book on only one device? This is urgent, as I am just a click away from buying this book which I need to use like yesterday. I am in Indonesia and have a kindle cloud reader account and everything works fine from my laptop. But when I tried accessing it from my new Android phone, it says I have to download Kindle for Android; and when I tried to download Kindle for Android, it says the app is not available in my country. Please help!!!!!!!!!!! How can I access my Kindle books from my new Android phone? Worry not, you can refer to our tutorial on how to install Kindle app for Android. just wanna ask, does the kindle cloud reader can be connected to the kindle fire so i can send the e-book to the kindle fire ? the kindle books that you have bought on Amazon will stay with your Amazon account, and these books can be downloaded and read on all kindle platforms like Kindle paperwhite, Kindle fire, Kindle Cloud reader and Kindle app for iPad, iPhone, Android, etc. 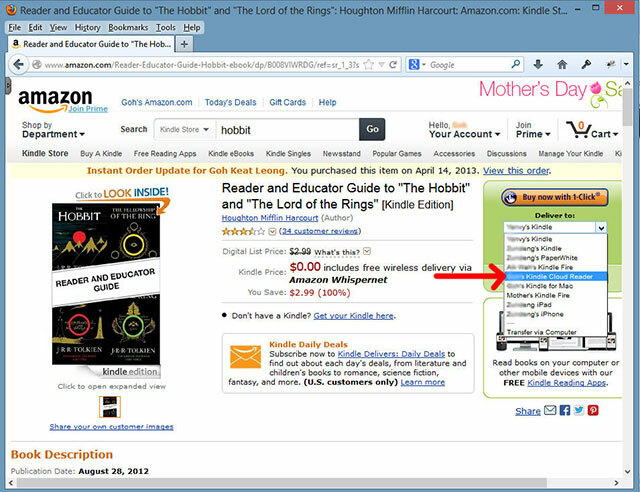 You just need to use the method shown in the tutorial to buy the Kindle books on Amazon.